Alicanto is a bird from the Chilean mythology. It is part of the folkloric legends from the Atacama Desert next to the Cordillera of Andes. According to the legend, Alicanto would eat gold and silver. 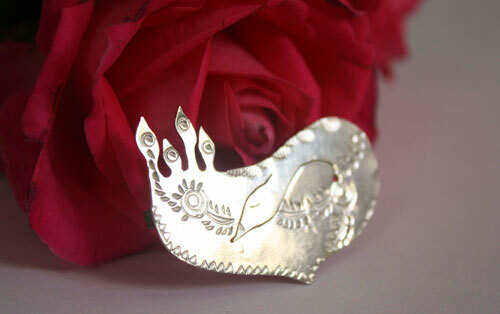 What would be better than sterling silver to represent this fantastic animal! At night, its wings would shine with colors reminding of metals. Its luminous eyes would also show a mysterious light. It is the lucky bird for minors. 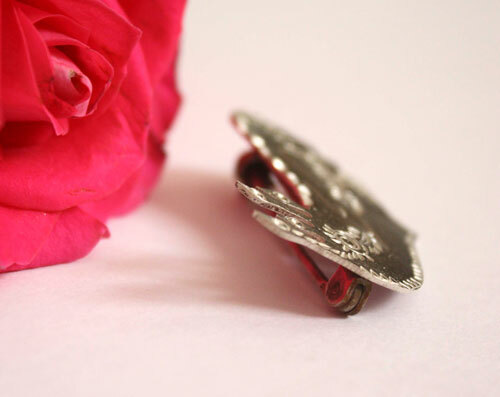 This brooch is made of sterling silver. 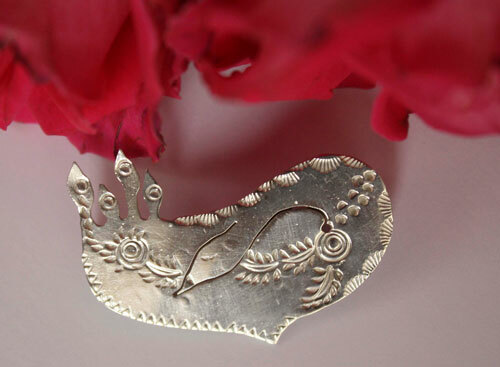 I hand sketched a resting bird on my metal sheet and then hand sawed it. 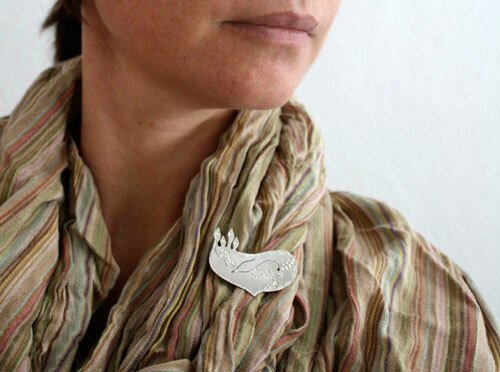 I then decorated the body with multiple hand stamped details that make this brooch really unique. It will be a masterpiece on your most beautiful scarf. 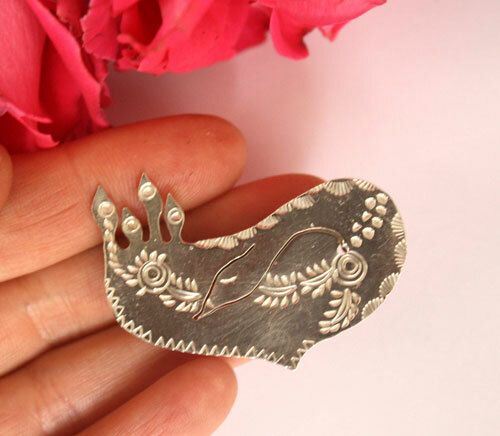 Tag: sterling silver, brooch, animal, legend, fantastic, story, silver, gold, desert, fauna, flora, Chile, Andes, wing, mysterious, folklore, lucky charm.